The American College of Physicians recommends chiropractic care such as spinal manipulation as the first line of treatment for low back pain. Keith Smigiel, FNP-C, DC, FIAMA, at ReGen Pain & Wellness has years of experience using diverse chiropractic techniques to restore optimal functioning while effectively relieving back, neck, knee, and shoulder pain. If you have questions about chiropractic care or you’d like to schedule an appointment, call the office in Scottsdale, Arizona, or use the online booking feature. How does chiropractic improve my overall health? When you develop spine problems, the changes typically compress nerves and blood vessels. This pressure can cause pain and problems in any area of your body served by the affected nerve or vessels. When Dr. Smigiel provides chiropractic treatments that balance and align your spine, he removes the pressure. The improvement, in turn, enhances your immune system. The chiropractic therapies provided by Dr. Smigiel are especially effective for relieving lower back and neck pain, but techniques are also available to treat your joints and limbs. Chiropractic treatment can help whether your pain is due to an auto accident, a degenerative disease, or a repetitive-use injury. Dr. Smigiel also specializes in treating sports injuries. He often develops comprehensive treatment plans for patients who suffered injuries while running, mountain biking, skiing, and playing tennis or golf. Chiropractic treatment helps relieve many pain conditions, including headaches and jaw pain. What types of chiropractic treatments might I receive? During your first appointment, Dr. Smigiel performs a thorough physical exam and orders diagnostic imaging if needed. After determining the underlying cause of your pain, he develops a customized treatment plan using the best chiropractic techniques to treat your specific problem, relieve your pain, and restore optimal functioning. 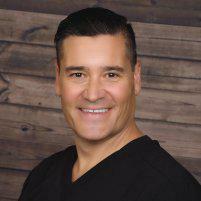 Dr. Smigiel has extensive training and years of experience performing many different techniques, ranging from high-intensity maneuvers to therapies that are gentle enough for children, pregnant women, and seniors. 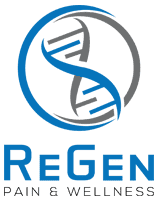 At ReGen Pain & Wellness, Dr. Smigiel specializes in a multi-therapeutic and comprehensive approach to your treatment. He offers multiple therapies under one roof, including physical therapy, regenerative medicine injections, and functional rehabilitation. To explore how chiropractic care can relieve your pain and improve your overall wellness, call ReGen Pain & Wellness or book an appointment online.